On Monday 17th December, a group of forty Year 7 students visited Surrey University for a Christmas activity day. 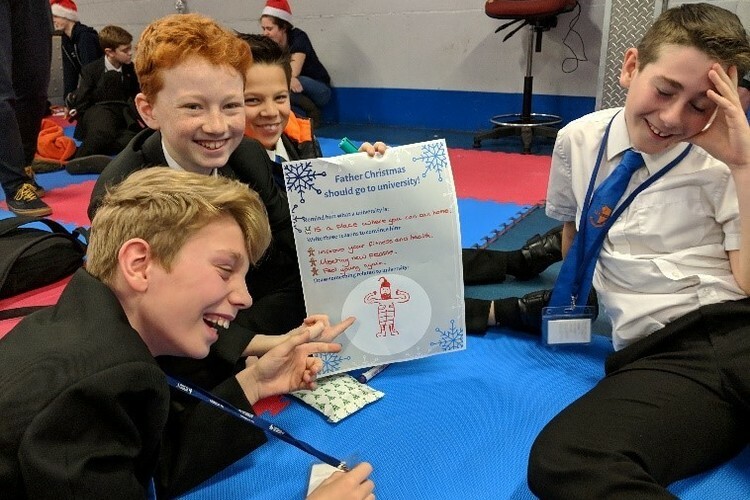 The students had a lot of fun testing their skills with problem solving, identifying which bodily organs belonged to Santa and which belonged to Rudolph, giving Santa advice on the University courses that would best suit him and trying their hand at some tricky Christmas maths puzzles. As well as getting a speedy tour of the festively decorated campus, the students had the opportunity to take some fun pictures with Rudolph before heading back to school. The students all behaved fantastically and represented the school in an incredibly mature way.